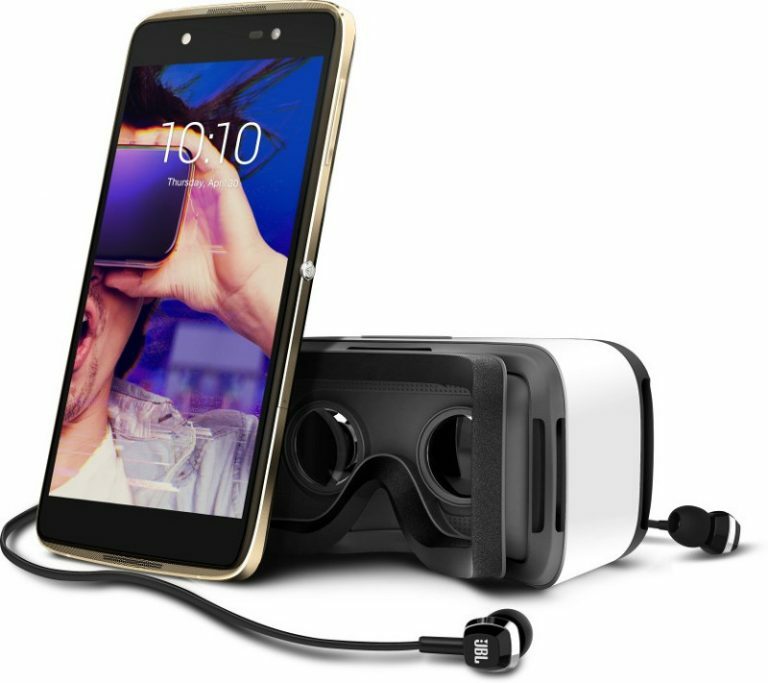 Alcatel today launched Idol 4 smartphone in India. It comes with a virtual reality headset for an immersive 360-degree viewing and gaming. 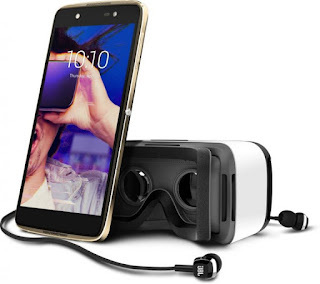 Alcatel Idol 4 features a 5.2-inch (1920 x 1080 pixels) Full HD IPS LTPS display powered by an Octa-Core Snapdragon 617 processor. It has 3GB RAM with 16GB internal storage which is further expandable up to 512GB with microSD. On camera, smartphone comes with a 13MP rear camera with dual-tone LED Flash, f/2.0 aperture and 8MP front-facing camera with LED flash. Dual SIM device runs on Android 6.0 (Marshmallow). Connectivity options include 4G LTE, Wi-Fi 802.11 a/b/g/n/AC (2.4 GHz & 5 GHz), Bluetooth 4.2, GPS with A-GPS, NFC, USB OTG. The smartphone is packed with a 2610mAh battery with Quick Charge 2.0. Smartphone also has a boom key gives that gives you access to a wide range of functions with the press of a single button. The boom key on the side lets you control your camera, gallery, videos, music, games and more. For example, pressing and holding the button will make the camera go into burst mode, whereas if you were to press it while recording a video, it will broadcast the video live. It has dual-speakers that offer a total audio output of 7.2 watts and has Waves MaxxAudio technology. It also comes with JBL stereo headset in the box. Alcatel Idol 4 comes in Gold, Metal Silver and Dark Grey colors, is priced at Rs. 16,999 and will be exclusively available from Flipkart starting from today at 2 PM. At this price point is Moto G4 Plus, Redmi Note 3, LeEco Le 2 smartphones available with better specs and features.